Cats try to let us know what they want, either through sounds or body languages. So it should not take you too long to understand what your kitty friend is trying to tell you. As your kitten grows, you will hear less and less meowing, but you will learn to understand it is more mature and more differentiated meows. 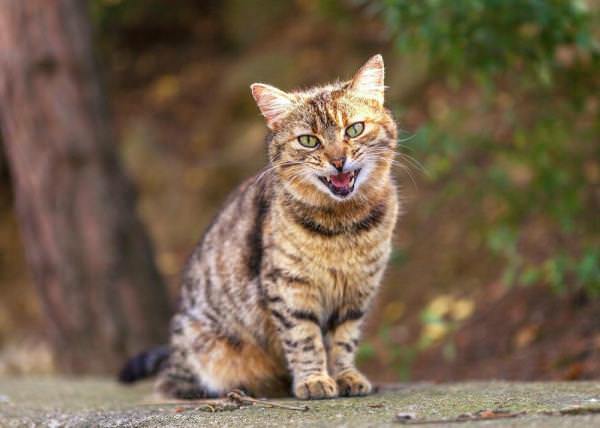 The ‘serious’ meows usually mean that he/she feels uncomfortable or unhappy for some reason. The ‘acute’ meows indicate that your cat feels happy and if your cat mew repeatedly it is because your cat want to get your attention for some reason. Hence, eventually you will come to understand it when your kitten tries to say: “leave me on the floor”, “feed me” or “love me”! 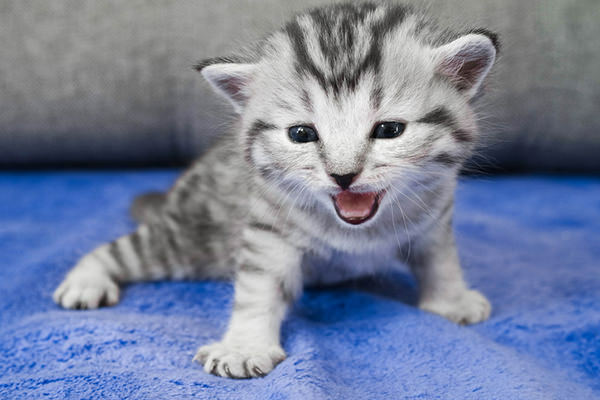 It is interesting to know that in general cats do not meow at other cats, they almost always meow at humans. So listen, because he/she is talking to you! 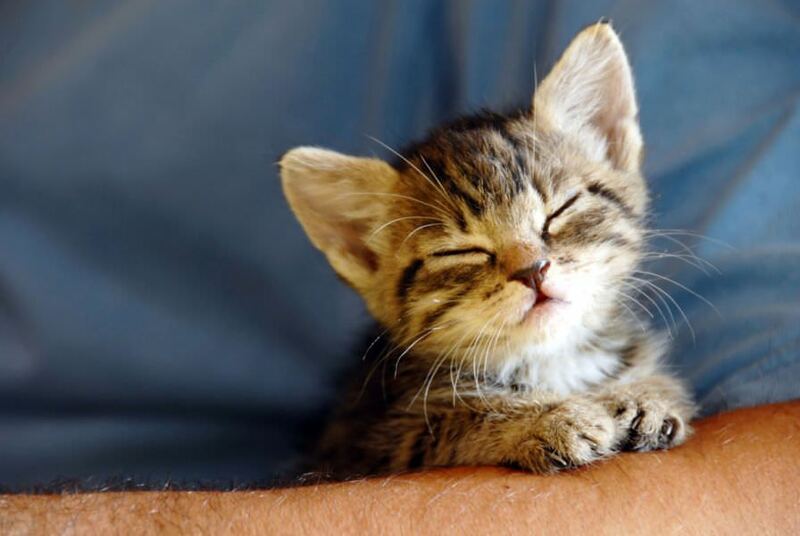 The purr is a sign of satisfaction, although it does not always indicate that he/she feels happy. 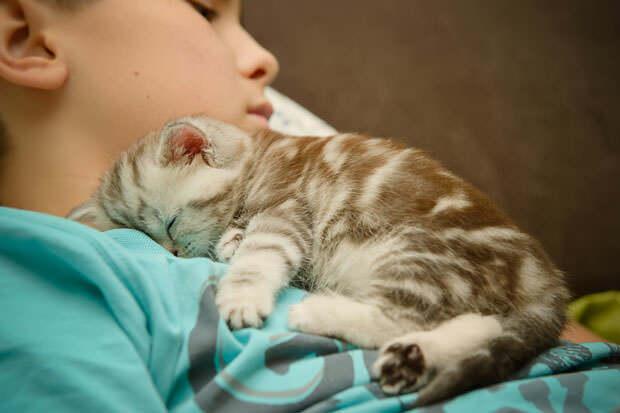 For example, a cat that feels sick or anxious can purr for comfort. Although in most cases, if your kitten purrs and rubs against you, it is a sign of affection or is asking for something, for example food. When you hear this, you can be sure that your kitten is scared. He/she is trying to look terrifying and be able to defend against any threat. 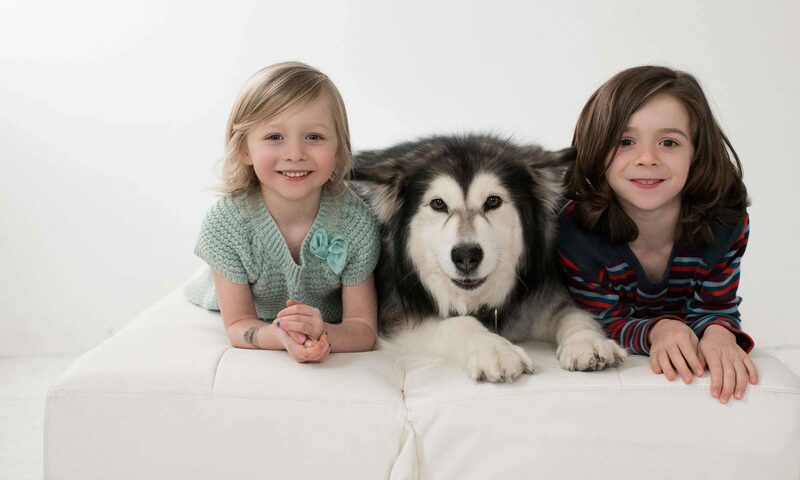 Generally you will hear these snorts and grunts during tense encounters with other animals. When your kitten rubs his face against you, he secretes pheromones. They are hormones of satisfaction that segregate from your cat cheeks. It’s a good sign, because it means that your kitten feels good about you and shows you that he likes you. The tail of the cats is an excellent indicator of their feelings. A kitten that feels happy will have its tail erect, while if it is scared it will hide its tail between its legs. If an adult cat moves its tail from side to side it usually indicates that it is impatient or irritated. If this movement is very fast, it may indicate that your cat is really nervous; it is a clearly intimidating behavior. The stiff tail is a sure sign of your kitten’s excitement and curiosity. The erect ears indicate interest in what is around them. 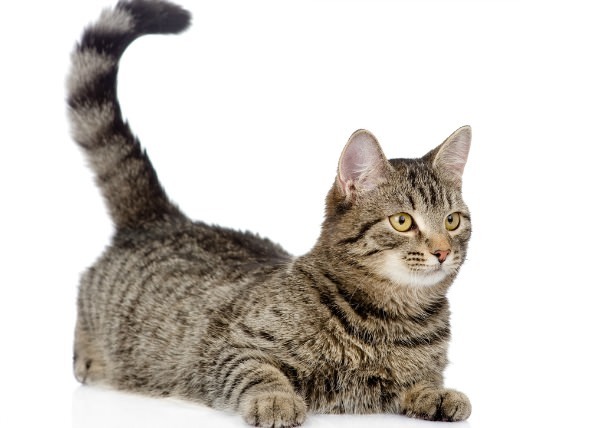 Erect and a little leaning forward means that your kitten feels relaxed and friendly. However, flattened and crushed against the head are a sign of aggressiveness, they indicate unequivocally that a fight is about to take place. It is not strange to see a kitten ‘kneading’ in the place where he/she is going to lie down. This is a pleasant act that reminds him to when he/she used suckled from his mother when he/she is young by kneading the breast so that more milk would come out. Without a doubt, cats are curious beings. Have you ever laid out a newspaper on the table and tried to read it when your cat is near? Sure, it jumps on the table and stands in the middle, challenging you to throw it away. Your cat will not want to change its spot for anything in the world, not even wanting to go back to his/her cushion or something like that. And do you know why? Well, because there, in that precise place, your cat have all your attention. If your cat lie on your back and shrugs its legs, your cat indicates total submission and confidence in you. It also wants to capture your attention. When your cat jumps on your lap and squeezes itself contentedly against you, it means your cat feels safe and secure with you around. 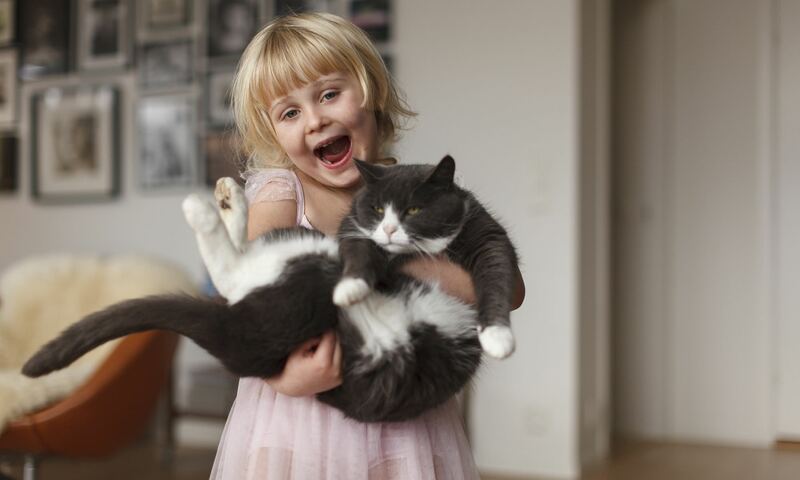 Your cat trusts you a lot and is comfortable with you being around in his/her territory.